Encourage your family to eat a superfood rainbow every day! 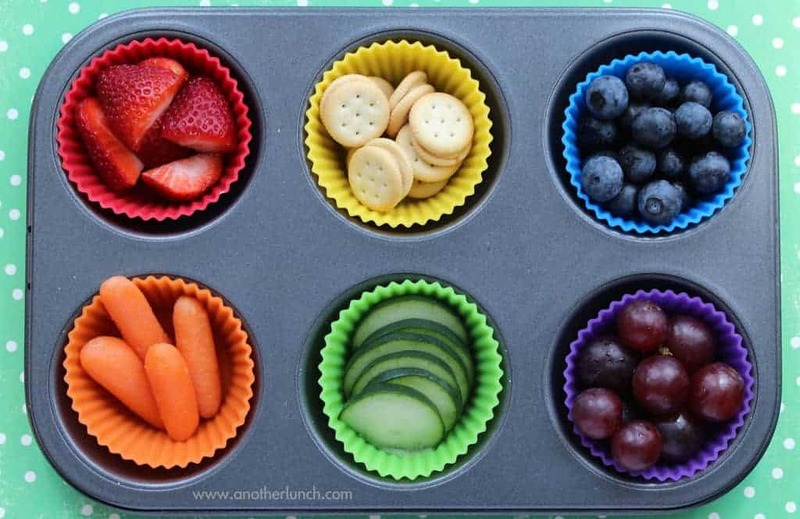 Start teaching healthy eating choices by encouraging your toddlers and preschoolers to eat a rainbow every day. Simply make or cut out a rainbow, and put it on your refrigerator. Ask your child whether they have had their rainbow today, and let them decide how they can get that color. You can help them by providing a variety of healthy foods for them to choose from. For preschoolers and kindergarteners, print out this simple Eat Rainbow Game Board and Rules to play at home. What does each color superfood do for your body? Red foods help keep your heart strong by providing the phytonutrient lycopene, which is thought to protect against heart disease. Tomatoes, tomato sauce, radishes, red onion, red potatoes, and watermelon are some of the options for red foods. Orange/Yellow foods help keep you from getting sick by providing beta-carotene, which may boost immune function. Yellow vegetables include butternut squash, carrots, yellow peppers, pumpkin, summer squash, yellow corn, and yellow tomatoes. Green foods help make your bones and teeth strong by providing calcium and supplying lutein, which may help protect against eye conditions, like macular degeneration, which can lead to blindness. Vegetables such as broccoli, Brussels sprouts, asparagus, green beans, celery, spinach, cucumbers, leafy greens, peas, green peppers, sugar snap peas, and zucchini contain lutein. Greens have a high mineral content which all of our bodies need. Purple/Blue foods help your memory and contain the phytonutrient anthocyanin. Purple cabbage, eggplant, purple peppers, and blueberries are examples. White vegetables provide indole, whose powers include preventing some types of cancer. Eating your cauliflower, turnips, jicama, and kohlrabi will get you the indole. Encouraging healthy eating takes consistency and life-long repetition. While your child is developing good habits, he may need a little ‘help’. Make power smoothies: Try mixing steamed spinach, frozen blueberries, and ice cubes in a blender. Your toddler will never know they are eating spinach! Try soup purees: Soups are an easy way to get the pickiest of eaters to eat their vegetables. When you puree the soup, the child cannot see what is in there! Enjoy eating that rainbow for both you and your child! 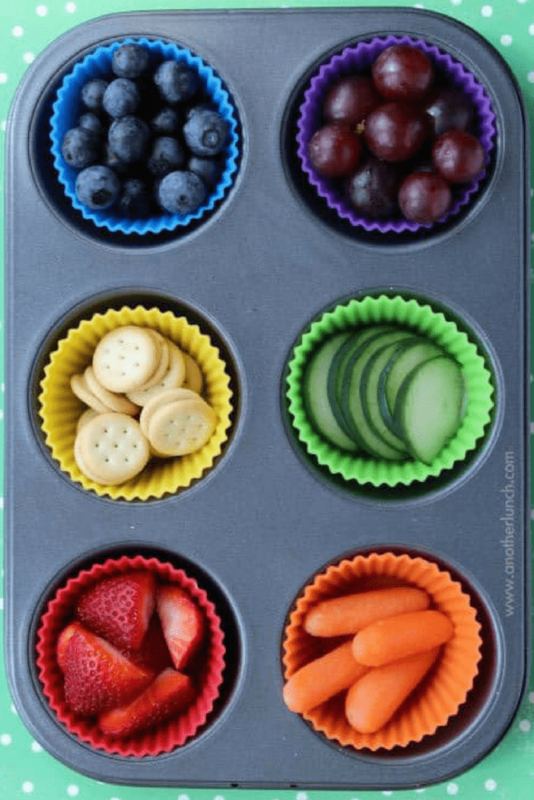 Printable Game Board and Rules for a fun healthy eating game!